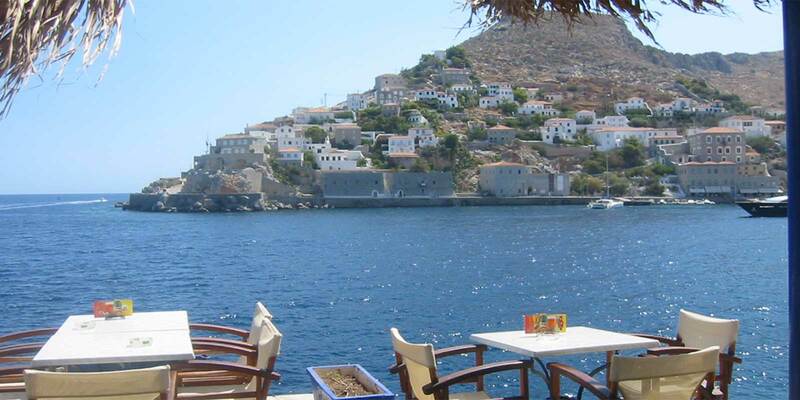 The town of Hydra is built amphitheatrically to the middle of the north coast of the island, inside a close cove, which is being surrounded by huge rocks. 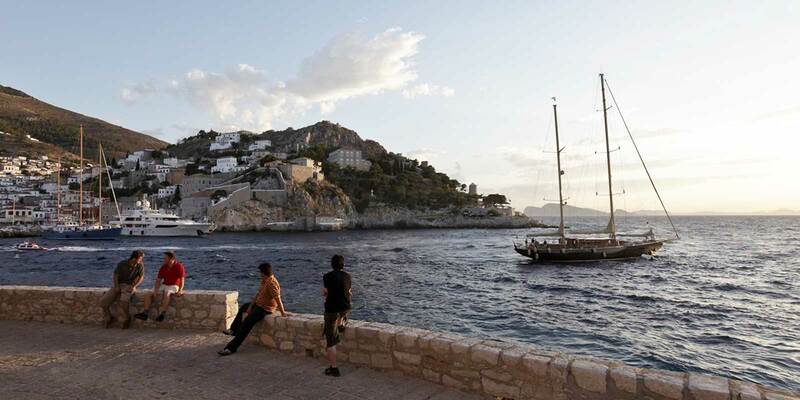 The imposing houses and well-kept mansions, built amphitheatrically beneath the bare cliffs with tourist shops and jewelers, restaurants and cafes, boats, sea taxis and large yachts, compose the port of Hydra and affirm the routine of Hydraians that bears little resemblance to the 21st century. 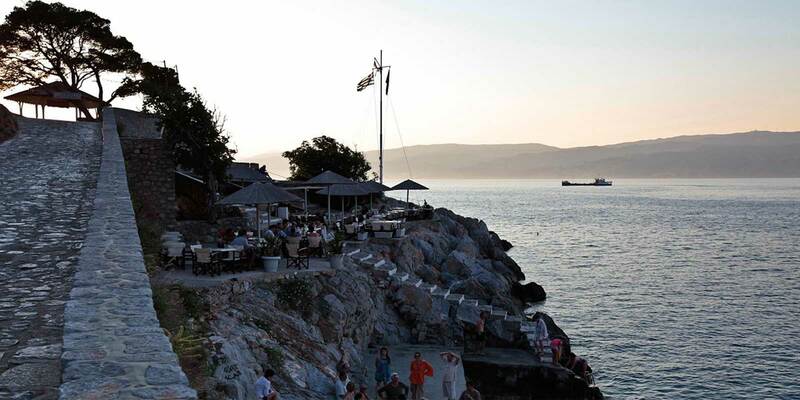 The coastal road, the Paul Kountouriotis street, extends from the statue of Miaoulis until the location Petalo. The street's paving was completed in 1912 and to this, ends all the paved vertical paths, that start from the top and end up at the sea. 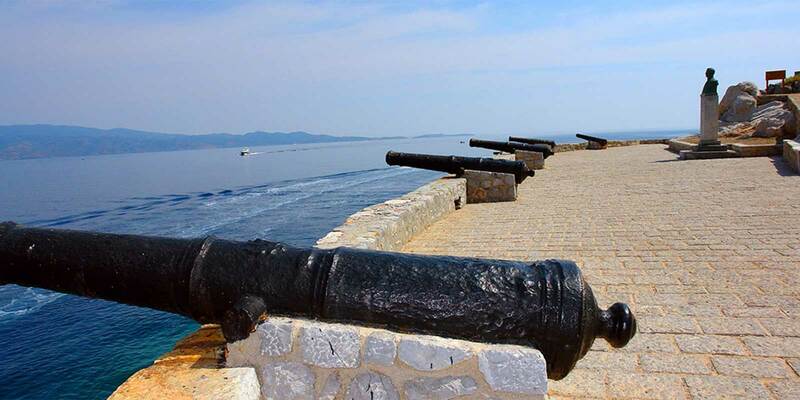 Right and left from the entrance of the port, there are the Parapets with the Canons, which protected the town. 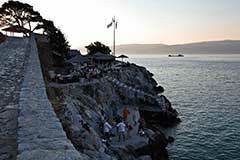 On the left side of the harbor, over the left bastion, there is the statue of Admiral Andreas Miaoulis, which was erected in 1993 and its base are buried the bones of Miaoulis, who came to Hydra in 1985. 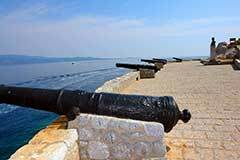 On the waterfront, under the ramparts, are the rusty old chains that closed the entrance to the harbor for safety. 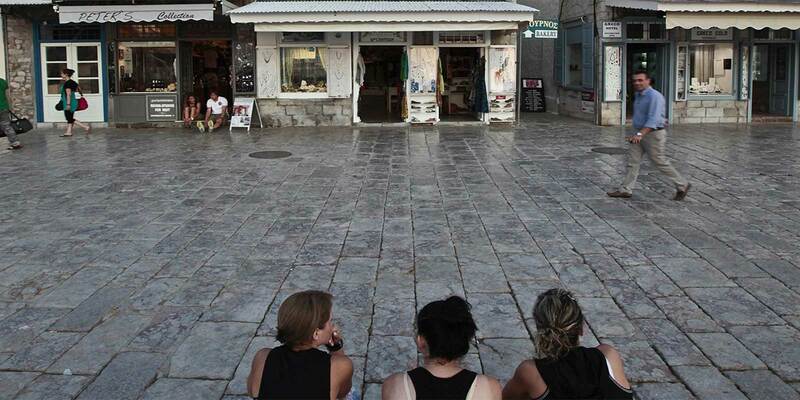 The road which starts near the statue, leads in Mandraki, which was the military port during the Revolution. 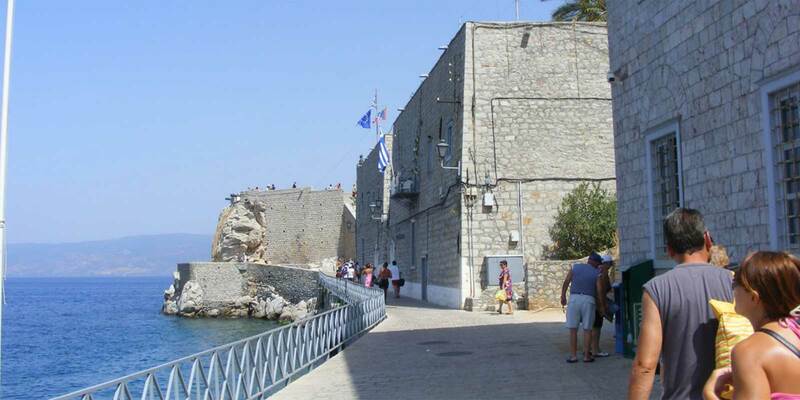 West of the statue of A. Miaoulis, at the beginning of the beach of the port, is the Port Authority and the KEP which was being housed in the old stone made gunpowder house and a little beyond the art gallery and concert "Melina Merkouri". 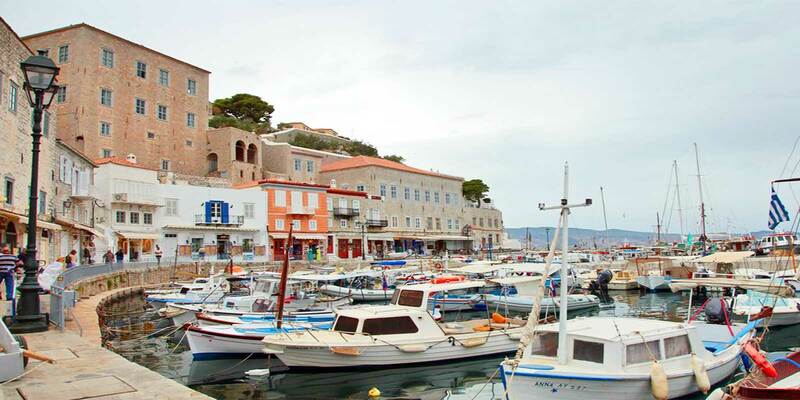 Next to the Port Authority, is the marble building that houses the Historical Archive-Museum of Hydra and following is the home of Tsamadou family, which houses the famous School of Merchant Marine. 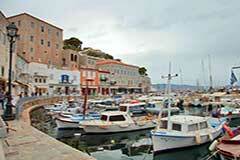 At the point of the harbor opposite the breakwater, beats the heart of town. 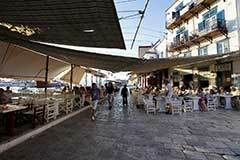 Here are banks, public offices, shops, restaurants and cafes. 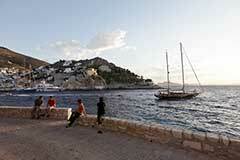 In the center of the harbor, is located the Cathedral of Hydra, built in 1648 and reconstructed in 1774. A three-aisled basilica with a dome, two marble towers and two silver chandeliers inside. Previously the Cathedral served as a Monastery of the Virgin Mary. Today in the courtyard of the Cathedral there are statues of Lazarus Kountouriotis and Andreas Miaoulis and the tomb of Lazarus Kountouriotis. 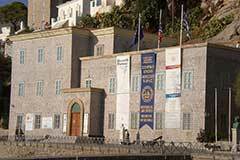 Some of the buildings of the monastery houses the town hall and the Byzantine - Ecclesiastical Museum of Hydra. 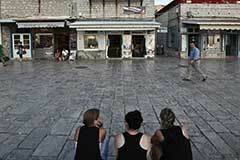 In front of the Monastery there is the Kountourioti Paul's Square with the statue of the Greek politician dominating its center. After the square, at the left, stands the Church of the Visitation with the wooden iconostasis. Further down a steep path to the left, leads to the Mansion of Tombazis, which today houses the School of Fine Arts. Rightmost of the Monastery of the Assumption begins a narrow, paved and scenic winding road that leads to the old town of Kiafa. The road passes right by the Gyrokomeio and then leads to Kamini. 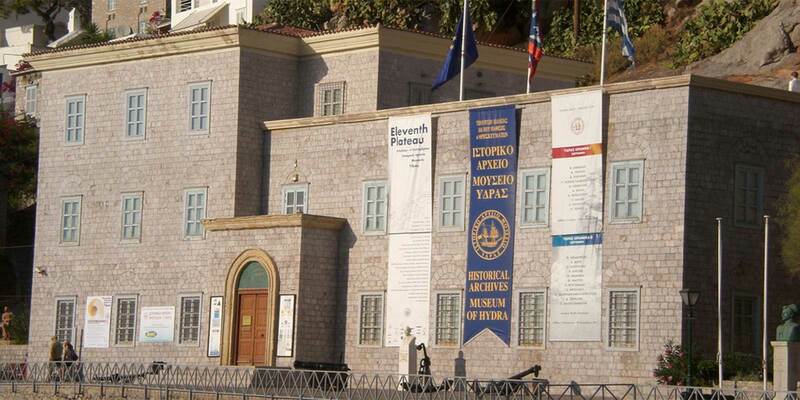 Soon we meet the Mansion of Kountourioti Lazarus, built in the late 18th century and is now a branch of the National Historical Museum. 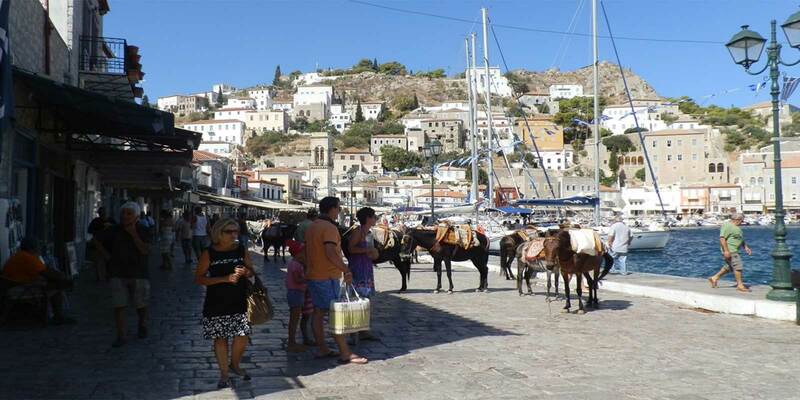 Continuing to the road, we reache the Periptero, the western bastion of the harbor and one of the most beautiful location of Hydra. Under the Periptero is the rocky coast of Spilia. Over the cannons, to the left there is a small pine forest with the mansion of George Kountourioti be raised amongst the pine trees and up to the the hills stand in a line the derelict mills. The road continues, reaches Avlaki, a picturesque district built on the steep slope of the mountain, to reach the picturesque Kaminia. 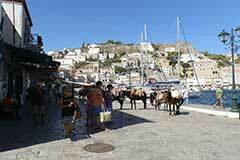 The beauty of Hydra is not confined to the beaches and the sightseeings. 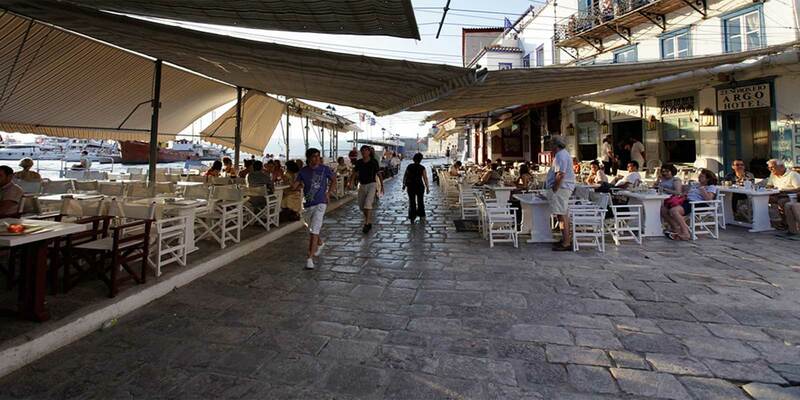 There are scenic and beautiful areas within the town, which you enjoy while strolling the narrow cobblestone streets, between houses with unique architecture, the flowers, the picturesque tavernas and the small tourist shops. 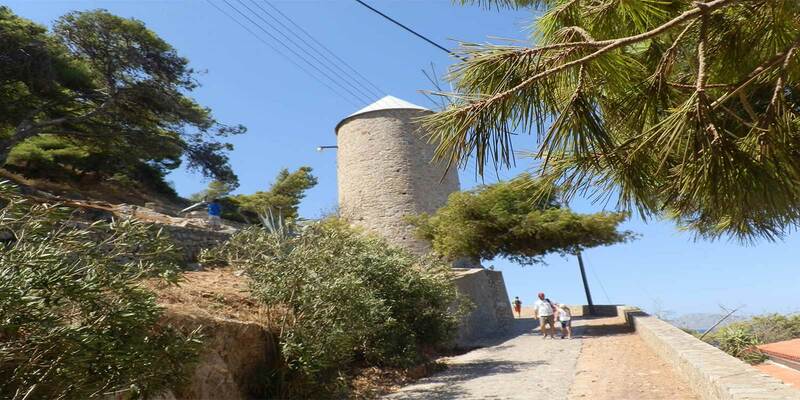 If you ascend the stairs of the Town, you will reach the medieval fortress town of Kiafa, a village with stone-built houses, high walls and narrow streets. Here you will be greeted by the smell of cut wood from carpentry while brightly colored houses and churches will enliven your mood. 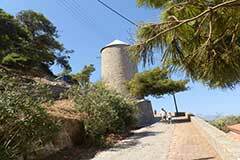 From the hill of Kiafa you can enjoy the fantastic view that reaches across the Peloponnese. The coastal road that goes to Mandraki, branches at Mandraki and ascends to the convent of St. Nicholas, 17th century. 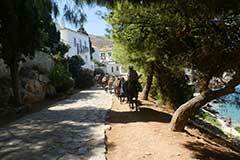 After the dock, the first road to the left leads to the Stadium and then to the pine region of the Monastery of Agia Fotini. Starting from the monastery of Agia Fotini, we follow the path and after a while we find the Mill, a stone building of the 18th century, which was used for processing wheat. At this point the road branches into two paths that lead to the Monasteries of St. Matrona and the Holy Trinity. The road starts from the middle of the harbor, Miaoulis Street, passing by the square Admiral N. Botsi, the smallest square of Five Prime Ministers monument and leads to Kala Pigadia. 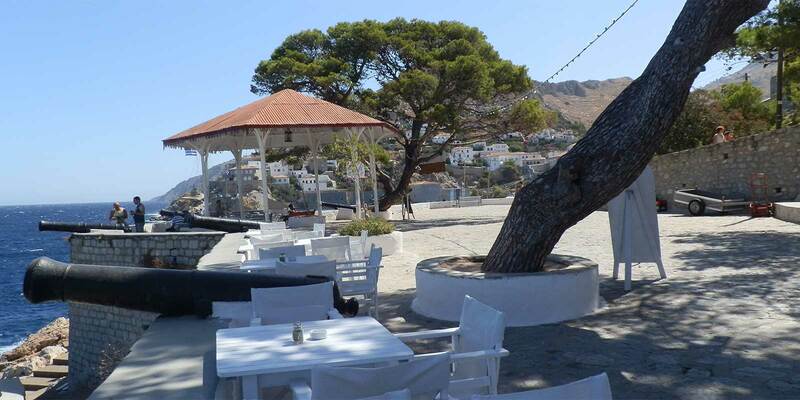 The name of the district is due to the two wells, built in 1803, George Voulgaris administration, that exist there and were supplying with water the inhabitants of the city for more than 200 years. From Kala Pigadia the uphill road continues and leads to the hill of Kiafa. At the top of the hill stands the Church of St. Constantine of Hydra, built on the site where it was the home of the Saint. In Kiafa there is also the old church of St John the Faster with marvelous frescoes of the 17th century, considered one of the oldest on the island and the	church of Agia Paraskevi. The steep trail that climbs the mountain leads to the monastery of Prophet Elias, which was for a time imprisoned Kolokotronis and to the convent of St. Eupraxia. 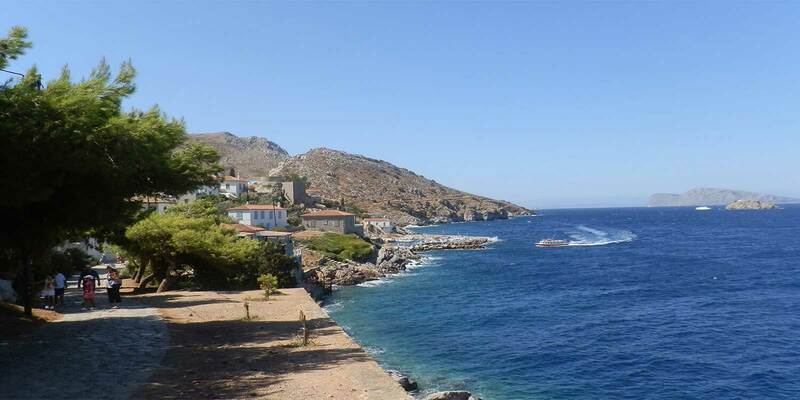 From here the visitor can enjoy the view which reaches from the town and port of Hydra, until the opposite Peloponnesian coast. Going up to the Kiafa you can see the manor of Lazarus Kountouriotis, and old Sachtoureio High School, a place of art and the church Ypapanti from 1780 with impressive carved iconostasis. 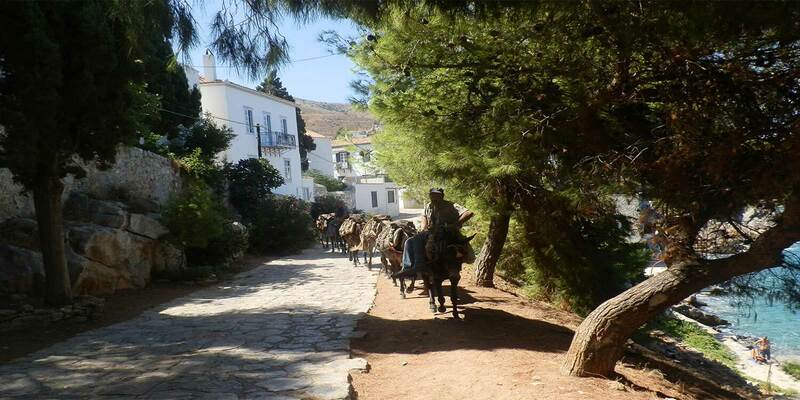 Continuing, we climb the hill of Agios Athanasios and mills. 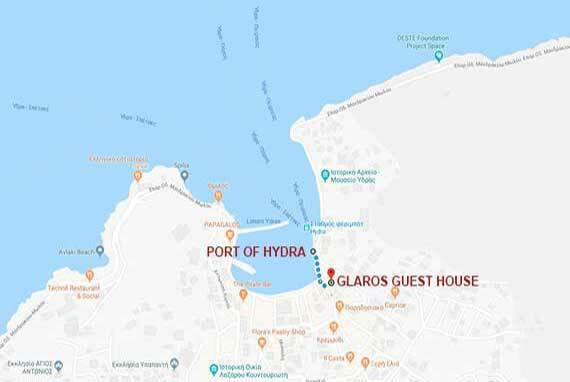 From the highest point, Hydra unfolds before you with every detail. The 7 castled today windmills were used for making gunpowder.